In just two short weeks at the Community Cycling Center’s Bike Mechanic Challenge, Portland’s best bike shops will compete to see who has city’s best mechanics. Beyond bragging rights, they’ll also get great prizes from our friends at Efficient Velo Tools (EVT). While some of you may not be familiar with EVT’s products, rest assure your mechanic is. Designed to make a mechanic’s job more efficient and enjoyable, they are the tools your mechanic dreams of. 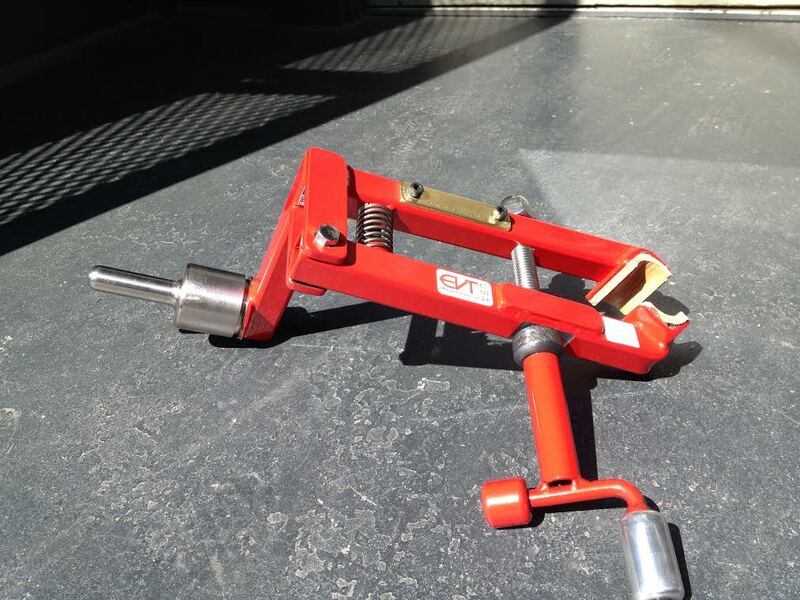 First prize for this year’s winning shop is the “Lefty Accidently” Right Arm Repair Clamp, generously donated by EVT. It’s designed to fit in that other brand’s repair stand, but it’s easier to use and gentler on your bike. Old timey repair stands used a large clamp to hold the frame. To prevent damage, mechanics would pad the frame using the cleanest shop rag available. It worked well for the round-tubed steel bikes of the day, but bikes today come in all shapes, sizes, and materials that make using the old timey clamp difficult. EVT’s solution was to make a smaller, offset clamp that reaches higher to clamp the seatpost of the bike rather than the frame. The jaws open quickly and easily to clamp a broad range of sizes and they’re padded to avoid damaging the bike. As someone who has used these stands in shops for years, let me tell you, once you use a Right Arm Repair Clamp it’s hard to go back to the old ones. As an added detail, EVT mounted a plaque on the arm to engrave the winning team’s name. While only one team can win the Right Arm Repair Clamp, no participating team will go home empty handed. 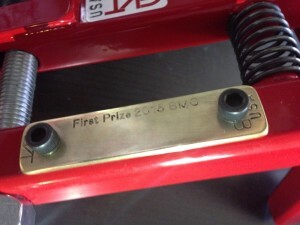 Runners up will receive a small tool from EVT and a visit to their shop for a chance to personalize it. As an added bonus, EVT founder and mechanic extraordinaire, Brett Flemming, will be a judge at the event. Participants will have a chance to win prizes as well! Join us at Velo Cult on Saturday, June 13th, from 6:30 pm – 10:00 pm to watch Portland’s best compete! If your shop would like to compete in the Bike Mechanic Challenge, feel free to email me at Patrick@communitycyclingcenter.org. We still have a few spots available.